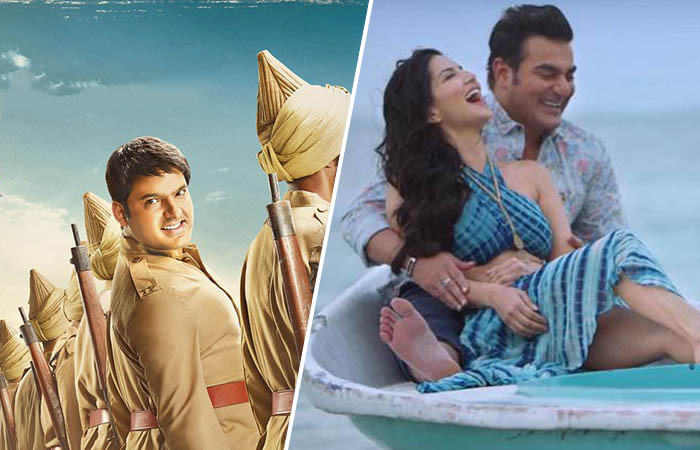 With an average buzz among audience, Kapil Sharma starrer Firangi and Sunny Leone-Arbaaz Khan starrer Tera Intezaar have released at box office on Friday and as expected opened to a low note. Like last several weeks, this one too seems to remain almost dry for the Hindi film industry. Directed by Rajiev Dhingra, period drama Firangi doesn’t have much hype among fans that it should have or Kapil’s first film had. Due to low promotions, it hasn’t got released on with desired buzz and also getting negative reviews from most of the critics, while mixed from audience. On the opening day, Kapil Sharma starrer opened to a cold note and registered the business of 2.10 crores from 1150 screens across India which is an average. Major contribution has made from Delhi and Punjab circuits. Also due to unfavorable remarks, it doesn’t seem to take much growth over the weekend. On the other hand, romantic drama Tera Intezaar has got far lesser opening than Firangi with negative reviews from almost everyone. On Friday, it recorded very dull occupancy in theaters and minted the amount of only 0.50 crore at domestic box office. This Friday audience has got nothing but huge disappointment, because earlier Sanjay Leela Bhansali’s highly anticipated Padmavati was supposed to release on December 1, but due to numerous protests against the release, it got postponed and the new release date is yet to be announced.